Lion Air flight JT610, an almost new Boeing 737 MAX 8, was en route to Pangkal Pinang, capital of the Bangka-Belitung tin mining region. Rescue officials said they had recovered some human remains from the crash site, about 15 km (9 miles) off the coast. Indonesia is one of the world‌s fastest-growing aviation markets, but its safety record is patchy. If all aboard have died, the crash will be the country‌s second-worst air disaster since 1997, industry experts said. 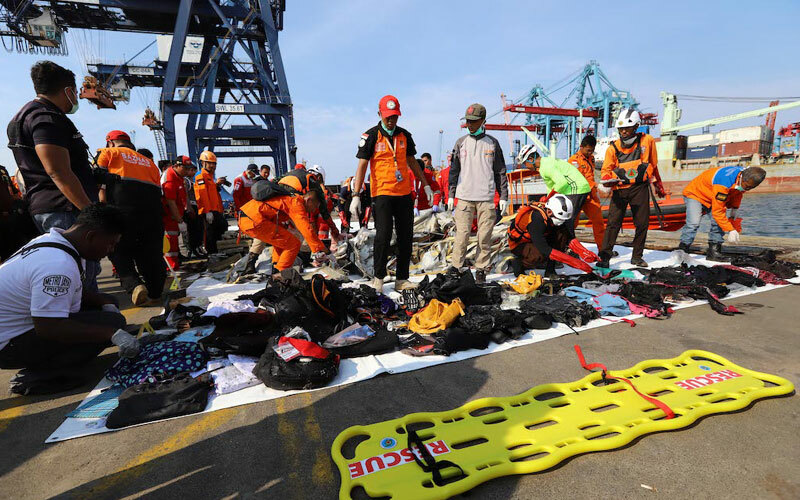 “An RTB was requested and had been approved but we‌re still trying to figure out the reason,” Soerjanto Tjahjono, head of Indonesia‌s transport safety committee, told reporters, referring to the pilot‌s request. Search and rescue agency head Muhmmad Syaugi told a news conference that no distress signal had been received from the aircraft‌s emergency transmitter. The accident is the first to be reported involving the widely sold Boeing 737 MAX, an updated, more fuel-efficient version of the manufacturer‌s workhorse single-aisle jet. The plane went down in waters about 30 meters to 35 meters (98 to 115 ft) deep. President Joko Widodo told a news conference authorities were focusing on the search and rescue, and he called for the country‌s prayers and support. Indonesia‌s worst air disaster was in 1997, when a Garuda Indonesia A300 crashed in the city of Medan, killing 214 people. Founded in 1999, Lion Air‌s only fatal accident was in 2004, when an MD-82 crashed upon landing at Solo City, killing 25 of the 163 on board, the Flight Safety Foundation‌s Aviation Safety Network says. In April, the airline announced a firm order to buy 50 Boeing 737 MAX 10 narrowbody jets with a list price of $6.24 billion. It is one of the U.S. planemaker‌s largest customers globally.